The six days in Rome, as always, were glorious! They were full of activities, memorable events, good friends, and great weather. 17 DC Patrons attended and enjoyed meals on the rooftop terraces of the Grand Minerva Hotel, the Forum Hotel, and the quiet shade of the Scarpone. It was a special trip for Art and Sue Lohsen, who were celebrating their 25th anniversary and brought his parents, Art and Joann, and their two daughters, Viola and Elena. Sunday started with a walking tour around our neighborhood. The highlight was a tour of the St. Ignatius Apartments led by a knowledgeable and comical Jesuit priest, followed by the tour of the beautiful, ornate Gesú Church. 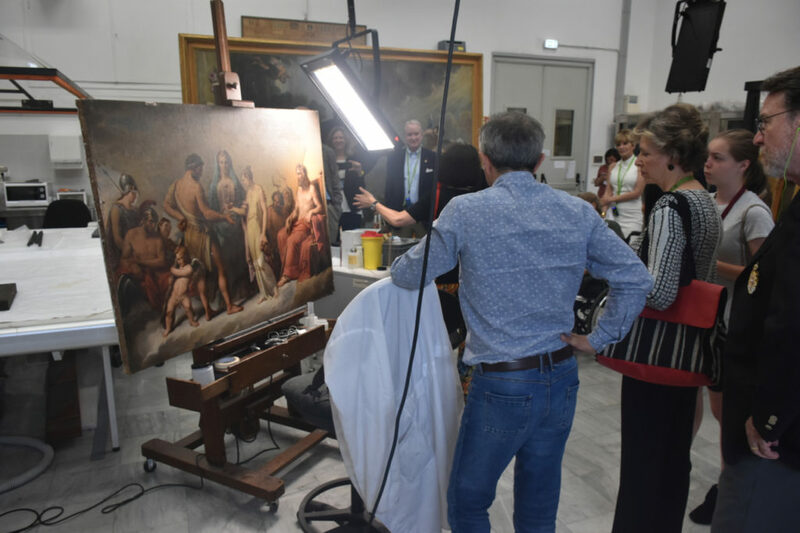 We spent time in the Museums, seeing our restorations displayed throughout – a proud moment for our Patrons. Treated like VIP’s, we were whisked in and out of areas behind the scenes and led by the Museum’s leading experts in their fields. 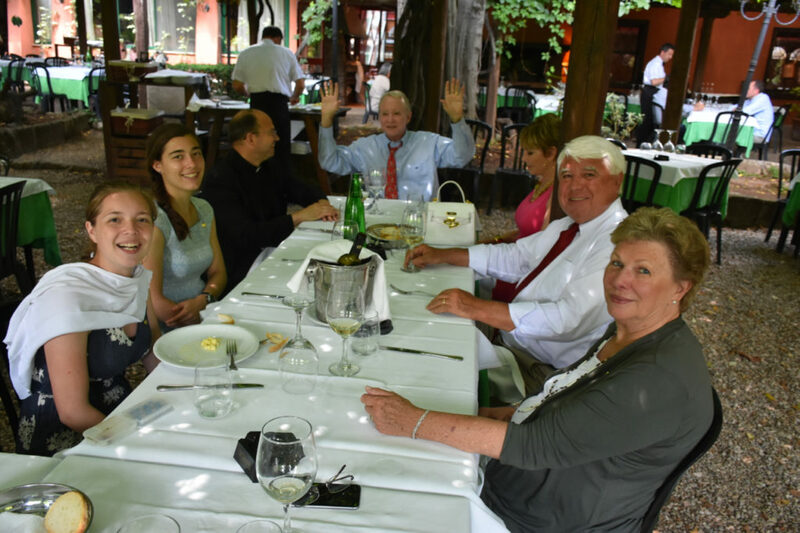 A special day trip to the Pope’s summer residence, Castel Gandolfo, was highlighted with a tour of the residence followed by a tour of the beautiful, manicured gardens and a wonderful al fresco lunch on the grounds. The Papal Audience was particularly special for Art and Joann Lohsen and their granddaughter, Viola, as they were given special seats and had an opportunity to meet the Pope after the audience! On Thursday, our final day, the group was able to visit our newly completed Fresco of St. Paul at St. Paul Outside the Walls. Greeted by the restorer and Cardinal Harvey, the Archbishop, we were given a tour behind the scenes and treated also to a tour of the Scavi, which is still under construction. 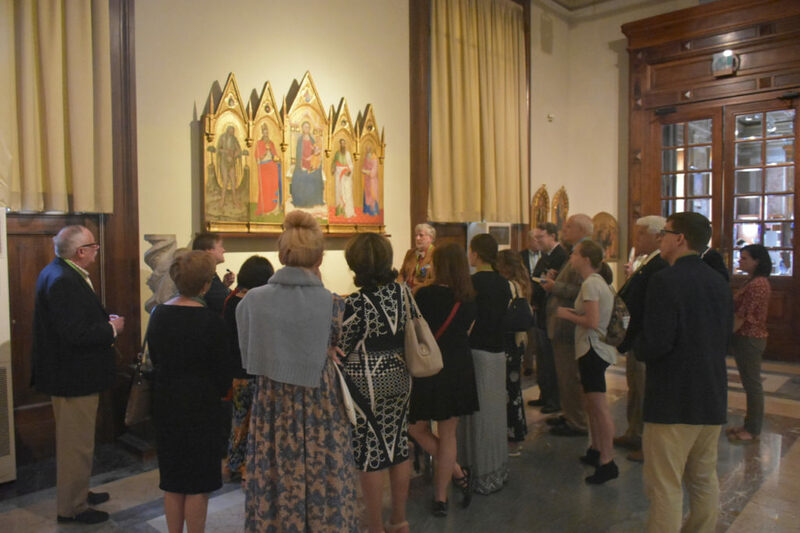 On our final night, we returned to the Museums for a private Mass at the historic St. Pellegrino Church, followed by an after hours tour of the Sistine Chapel, Galleries and Raphael Rooms, curated by Romina. 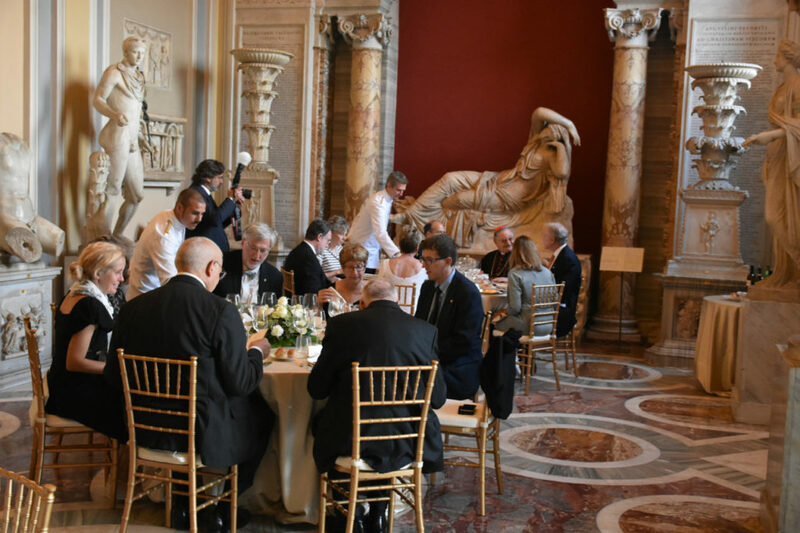 Cocktails and our gala dinner in the Rooms of Busts and Statues was attended by special guests: Cardinal Bertello, President of Vatican City State and Dr. Barbara Jatta, director of the Museums. With plenty of free time built in the schedule, everyone had a chance to enjoy Rome on their own. A special thanks to Father Kevin Lixey, Sara and Romina of the Rome Office, and their tireless work to help in the planning of this wonderful trip. If you missed this trip, plan to go on our next trip in 2020! For more images of our wonderful trip, please Click Here.